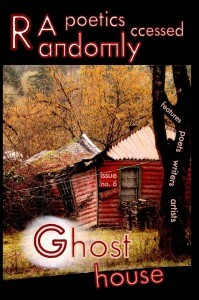 RAPoetics Issue 6, Ghost House,contains poetry, prose, photography, and art from Carrie Albert, Pratima Annapurna Balabhadrapathruni, Robert Bates, Matthew Lane Brouwer, John Burgess, Dennis Caswell, Joanna Conom, Larry Crist, Holly Day, J.D. DeHart, Pattie Flint, Steve de France, Tammy Gordon, Ira Joel Haber, Christopher J. Jarmick, Erin J. Jones, Staci Leigh, P.A. Levy, William James, Michael Mark, Bozena Helena Mazur-Nowak, John McKernan, Levi J. Mericle, B.Z. Niditch, Frank C. Praeger, Heather Parker, Shiloka Shankar, and Guinotte Wise. 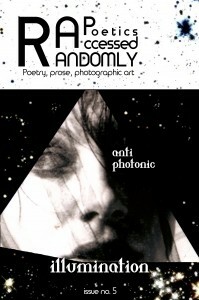 RAPoetics Issue 5, Anti Photonic Illumination, displays work from Don Comfort, Bryan Edenfield, Christopher DeFeyter, Jim Ferguson, Pattie Flint, Margaret Elysia Garcia, Sarah Gawricki, Howie Good, John Grey, Ira Joel Haber, Christopher Wolfe, A.J. 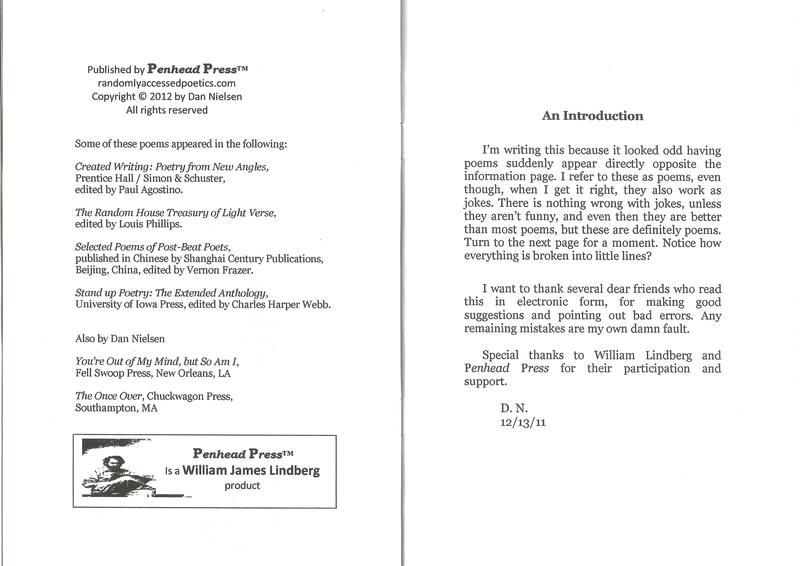 Huffman, Palash Kapoor, William James Lindberg, Staci Leigh, Bill Marles, Dave Mehler, Jesse Minkert, Taylor Napolsky, B.Z. 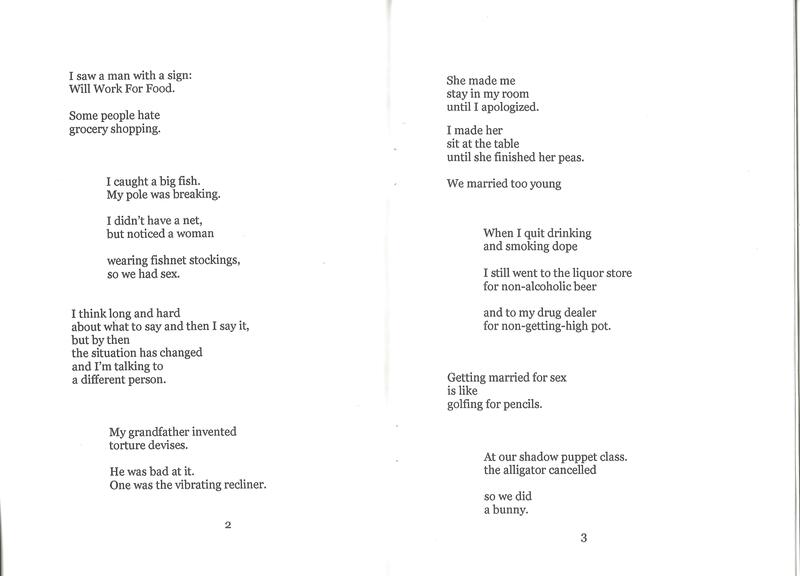 Niditch, Richard Pinner, Thomas M. Ring, Ebi Robert, Rachel Rosenberg, April Salzano, Raul Sanchez, Weldon H. Sandusky, Samy Sfoggia, David Christopher la Terre, and Tamara Wyndham. 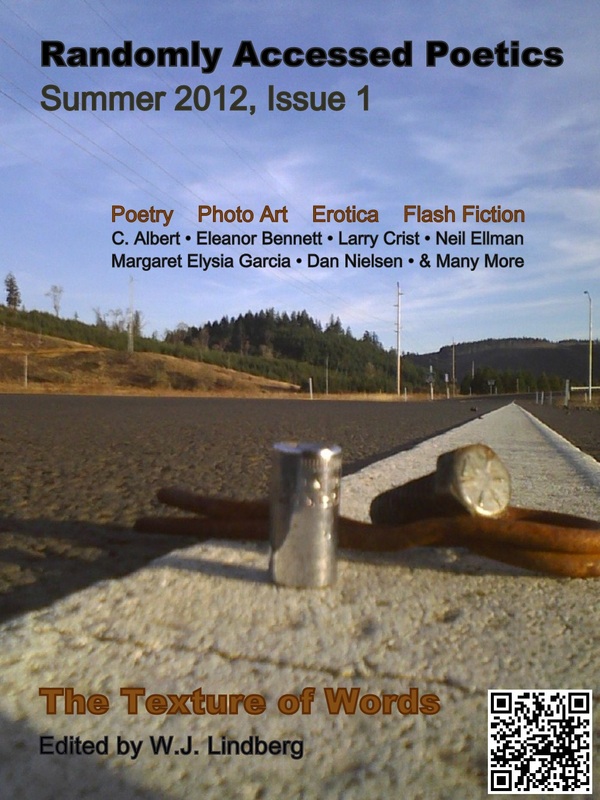 Further, it features on the cover an artistic rendering of Sarah Gawricki’s image. 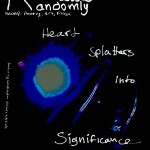 RAPoetics Issue 4, Heart Splatters into Significance, contains compositions by contains works from Carla Blaschka, Jim Boggs, Greg Brisendine, Christine Clarke, Alfonso Colasuonno, Tim Cole, Larry Crist, Jim Davis, Doug Draime, Elizabeth Fountain, Jeannine Hall Gailey, Sarah Gawricki, Jack Haines, William Wright Harris, Dawnell Harrison, Christopher J. Jarmick, Duane Kirby Jensen, Annette Kluth, Craig Kurtz, Scott Laudati, Charley McAteer, Tera McIntosh, John McKernan, Sharon Meixsell, Dan Nielsen, B.Z. Niditch, Rafael Ayala Paez, Brandon Pitts, Raúl Sánchez, M. A. Schaffner, Carol Smallwood, Morris Stegosaus, Kurt Swalander, Andy Wilson, PurpleMark Wirth. 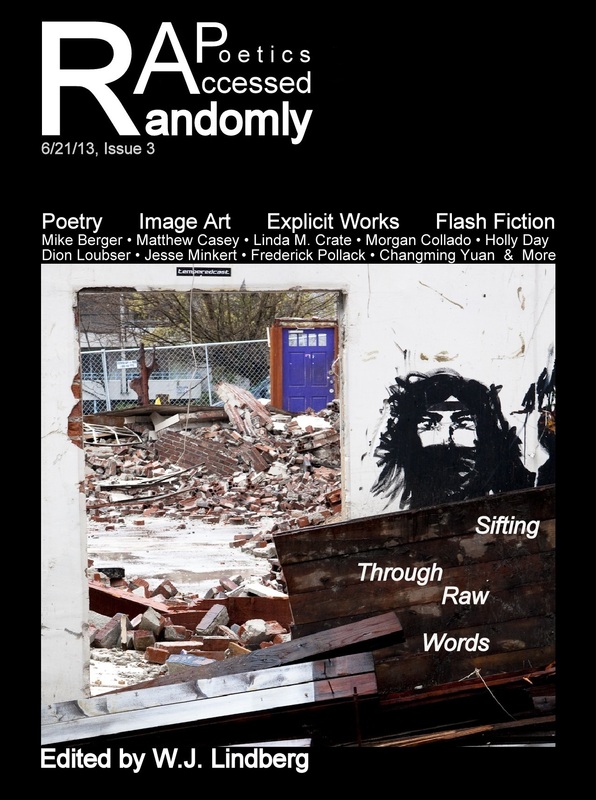 RAPoetics Issue 3, Sifting Through Raw Words, contains compositions by: Carrie Albert, Daniel Beaudoin, Mike Berger, Tim W. Boiteau, Matthew Casey, Allie Coker-Schwimmer, Tim Cole, Morgan Collado, Linda M. Crate, Holly Day, Alex Damov, Nate Depke, Colin Dodds, Doug Draime, Jason Constantine Ford, Elizabeth Fountain, Paige Edenfield, Jack Haines, Matthew P. Haubert, A.J. Huffman, John Kaniecki, Derrick Keeton, Craig Kurtz, Mirri Lane, Dion Loubser, Magen Mackay, Suvi Mahonen, David McLean, Susan P. McNally, Jesse Minkert, Giorgio Montanari, Frederick Pollack, Sy Roth, April Salzano, M. A. Schaffner, Samantha Seto, Imani Sims, Kurt Studenroth, D.C. la Terre, Emily Thomas, Veronica Valeanu, Jeffrey Williams, and Changming Yuan. RAPoetics Issue 1, Texture of Words, contains compositions by Gale Acuff, Carrie Albert, April Avalon, Patricia Babbitt, Shannon Barber, Eleanor Bennett, Philip V Bernier-Smith, Carla Blaschka, Bruce V Bracken, Randi Carlton, Sweet Cheeks, Louie Crew, Larry Crist, Aaron Dietz, Neil Ellman, Denise Falcone, Robert Lee Frazier, George Freek, Elizabeth Fountain, Margaret Elysia Garcia, Howie Good, Juleigh Howard-Hobson, William James, Terence Kuch, Duane Locke, Jan Marquart, Tera McIntosh, Joan McNerney, A.R. Minhas, Michael Neal Morris, B.Z. Niditch, Dan Nielsen, Felino A Soriano, Guy Swanson, Jessica Tyner, Thomas Zimmerman. 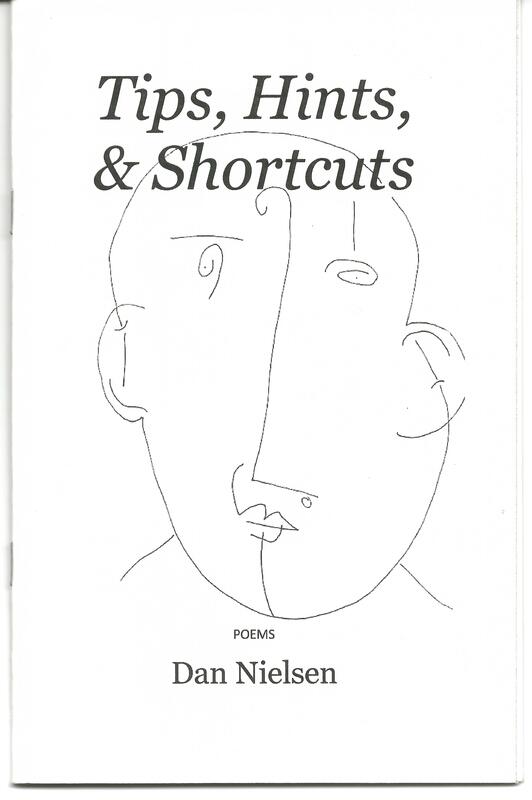 If you wish to order Dan’s chapbook, please send $6.27 to Penhead Press, PO Box 115, Willamina, OR 97396-0115. Money orders only.